Here are the most exciting Indian dishes that are easy to chew and easy to digest. We have made sure to provide fiber rich recipes which include plenty of colourful vegetables, pulses and lentils. These recipes cater to the Indian palette and will be sure to tingle your taste buds with just the right amount of spice. Try our dal recipes like Dal Moghlai and Chola Dal Pudla which are high in protein. Want to try some mouth watering rice recipes? Try Palak Pulao which will surely bring a smile to your face when you eat them. Vegetables are high in fiber and antioxidants while they are low in calories. They should be consumed in large quantities especially in old age to boost your immune system. 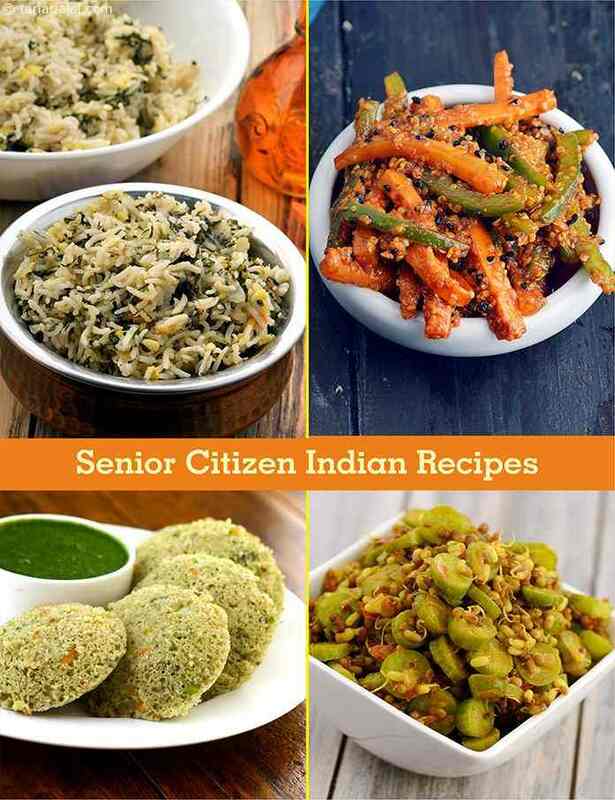 Basic pointers like mildly spiced foods and easy to chew, swallow and digest have also been considered while selecting the following recipes in a senior citizen’s diet.